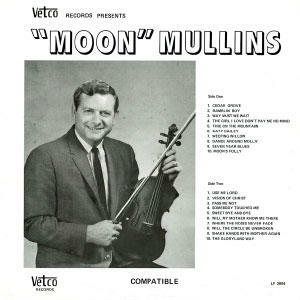 Like his father Paul "Moon" Mullins, Joe Mullins enjoys playing bluegrass music – on the radio or on stage. 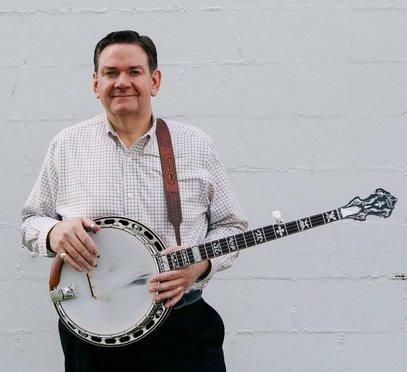 Joe, who worked with his father at Middletown's WPFB-AM in the 1980s, returns to his hometown Saturday, June 23, to perform a bluegrass concert at the historic Sorg Opera House with his band, Joe Mullins and the Radio Ramblers. 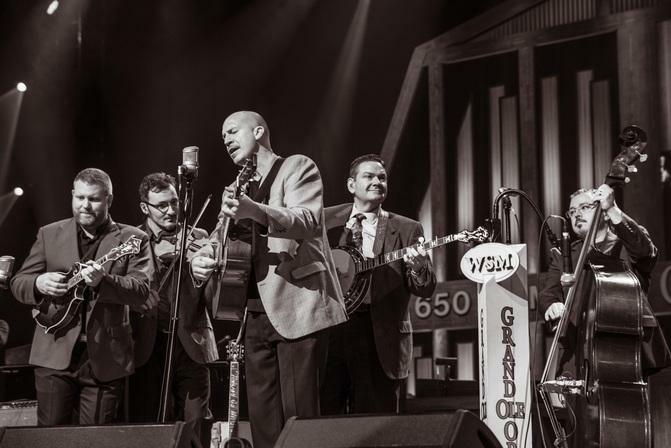 The Radio Ramblers have played the Grand Ole Opry 15 times. "I'm sure it's been a lot of years since bluegrass was heard on the stage of the Sorg, and we're delighted to be coming there," says Mullins, who owns a network of country and bluegrass stations in Xenia, Wilmington and Eaton. We spoke recently for an "Around Cincinnati" interview which airs 7-8 p.m. Sunday June 17 on WVXU-FM and WMUB-FM. Here's a link to hear the interview. Mullins first played fiddle and bass as a student at Middletown's old Rosedale Elementary School, in the shadow of the WPFB tower. His father played fiddle, often with the best country musicians of the 1960s and '70s: Ralph Stanley, Loretta Lynn, Bill Monroe and the Osborne Brothers, to name a few. He switched to banjo before he turned 10. "You've got to be crazy to try to play the fiddle! It doesn't have any frets!" he says. Joe was taught to play banjo by the many bluegrass pickers who visited his parents, particularly Sonny Osborne and J.D. Crowe. "I was mentored by those guys, and I still can't kick the habit." 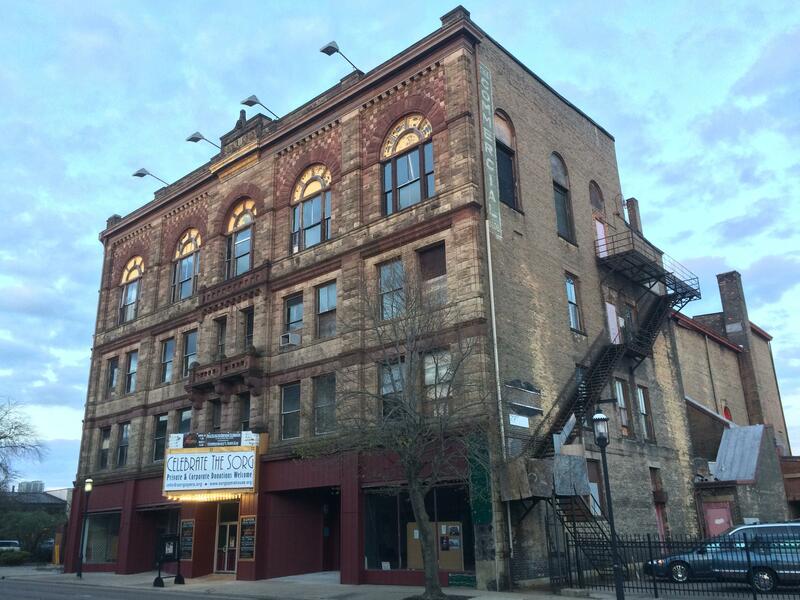 The Sorg Opera House, 63 S. Main Street, Middletown, was built in 1891. Mullins remembers watching movies at the Sorg at 63 S. Main St., which was called the Colonial Theater during his Middletown childhood in the 1960s and '70s. 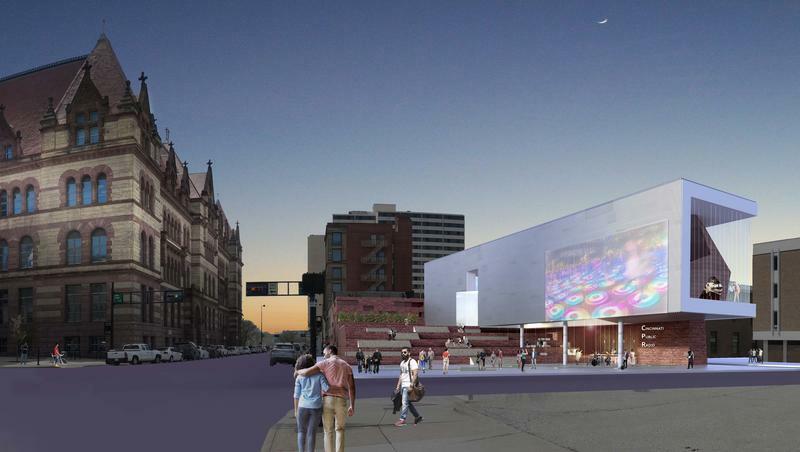 Opened in 1891 by paper manufacturer Paul Sorg, the theater is being restored by a nonprofit Sorg Opera Revitalization Group LLC led by Chuck Miller, former WNKU-FM general manager. The seating was upgraded last year with seats from Cincinnati's Music Hall. At the concert, Mullins plans to play some of his father's favorite songs and tell stories about his father's 25 years at WPFB (1964-89). "Moon" Mullins often joked on the air that the call letters stood for "We Play For Briars." Paul "Moon" Mullins recorded many albums while working at WPFB-AM. "He was such a hot commodity for those who wanted to buy advertising that he anchored both the morning and afternoons for most of his 25 years," his son says. Joe Mullins made his radio debut on a Jellico, TN, station his father was managing during a dispute with WPFB. They returned to Middletown in 1983, with Moon doing mornings and Joe doing afternoons. They quit after another dispute in 1989, and toured with their Traditional Grass bluegrass band until Joe bought Xenia's WBZI-AM in 1995. In 2006, he formed the Radio Ramblers, which features Mike Terry (mandolin), Jason Barie (fiddle), Randy Barnes (bass) and Duane Sparks (guitar). They have played the Grand Ole Opry 15 times in four years, most recently for the debut of their "The Story We Tell" CD last September. The band plays about 100 dates a year; they're booked from Maine to Los Angeles in 2018. "I'm on the air or on the stage every day," Mullins says. "It's banjos and broadcasting every day for me." My interview with Joe Mullins airs on "Around Cincinnati" 7-8 p.m. Sunday, June 17, on WVXU-FM and WMUB-FM. 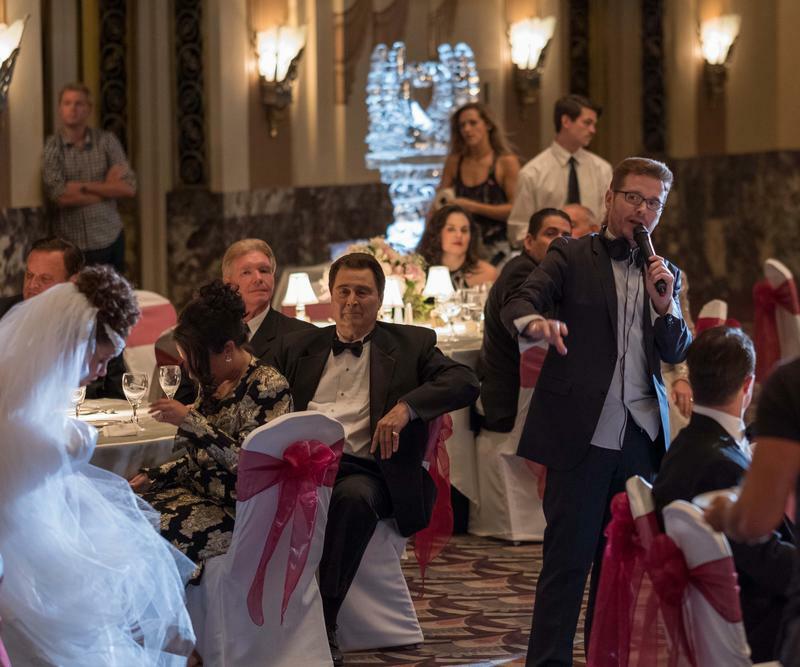 To promote Friday's opening of "Gotti," filmed here in 2016, you can catch stars John Travolta and Kelly Preston talking about the John Gotti bio picture on TV talk shows this week. Deb Dixon's first TV dream never came true. Thank goodness for that. She switched majors at Baldwin Wallace College in the early 1970s from sociology to communications because she wanted to host a children's TV show. 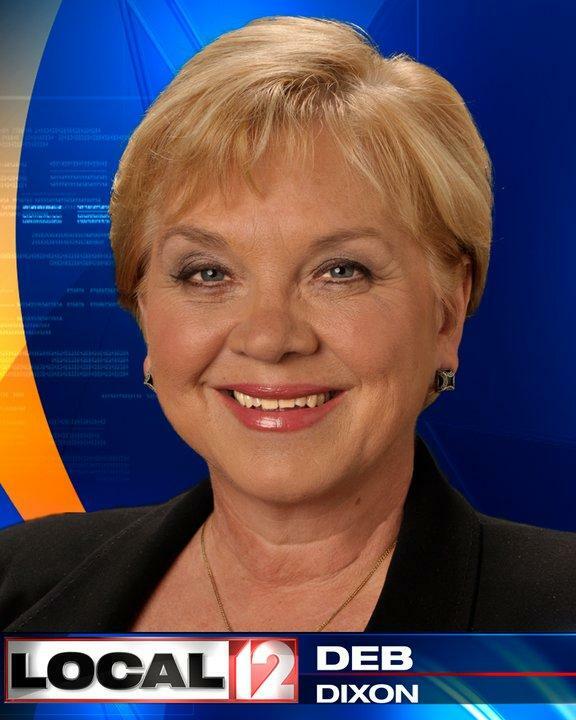 Instead she became one of Cincinnati television's best crime reporters, and one of our top TV storytellers, in her 44 years at WKRC-TV. After anchorman Nick Clooney left Channel 12, Dixon became the heart and soul of the newsroom, breaking the biggest crime news, giving hugs and support to her coworkers, and carrying on the spirit of her mentor Clooney.